Known for its rich culture, refined architecture, and artfully prepared cuisine, Northern Italy inspired Tropitone's Torino Sling Collection. The Torino Sling Collection fuses the legendary styling and architectural heritage of Torino, Italy, with artisan-inspired craftsmanship. 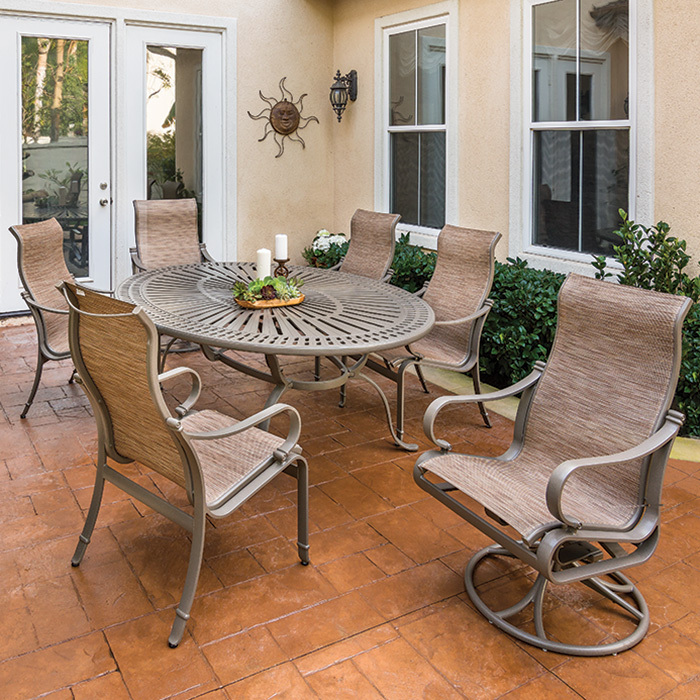 The resulting outdoor furniture collection features a traditional design, graceful curves, and high quality that welcomes guests. Torino Sling Seating features a vinyl-coated polyester fabric slung across the seat and back frame for optimum comfort and powder-coated aluminum for sturdy construction.